Howdy and welcome, especially if you’re new around here… which you probably are, unless you’re one of those local Syracuse bloggers who sees my posts on our Facebook page. I’ve got a couple of topics to discuss on this particular post and I hope you stick around for them. 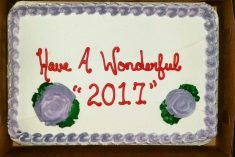 First, it’s 2017; whew! The previous year is all I’m going to refer to it as, and it’s either the 2nd or 3rd worst year of my life… and that’s saying something out of 57 years. Because of that, I want to start off the new year in a much different mindset, with way different goals and a much enhanced perspective on success and happiness. For those of you who don’t know me, I have multiple blogs, and on two of them I talked briefly about last year’s disappointments and what I’m hoping to accomplish in 2017. Second, a bit more insight. 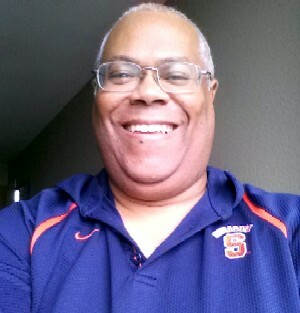 This is mainly my local blog, where I talk about things related to the Syracuse area and the rest of central New York. The first post I wrote in 2015 talked about my expanding my scope of topics on this blog, which was related to the fact that I’d been traveling a lot and thus had fewer local encounters and events to actually talk about. Over the course of the last two years I’ve gone outside the initial scope of this blog to talk about dealing with adult parents, body shaming, diabetes and a few other topics, both personal and otherwise. The purpose was to give me reasons to write more on this blog, to have a space where I could talk about anything, even though I had another blog that was going to serve that purpose. But I tend to stick with specific types of topics on that blog, which leaves this one as a perfect place to do so. However, over the course of 2 years, I’ve only written 48 posts out of 104 weeks; that’s just not going to get it done. Then I read a post (which I forgot to log since I read it on Flipboard) talking about something called the Ultimate Blog Challenge, which is where a lot of people are committing to write a blog post every day in January, share it on Facebook and Twitter, and then go visit other bloggers who are participating and leave comments on their blogs. I thought it was a pretty cool idea, so I decided to do that with this blog. I didn’t sign up for the event with others because I do have to try to make a living since I work for myself and I’ve tried things like that in the past that didn’t work well for me long term. Thus, this is the first post of the month for Syracuse Wiki, and I decided other than just talk about my writing a post every day, I would mention something else I’m going to be doing this year, not only in January. 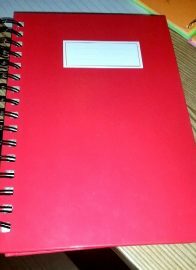 I was reading another blog post (this time I have the link) where the writer kept what she called a happiness planner. What she did was write down things she felt would make her happy, and then worked on doing those things, modifying things as the year went on. What she found was that her life felt better, she felt more accomplished and began to see the world more positively. I’m going to do something along those lines, with a twist. Instead of a happiness journal, I’m going to keep a success journal. I’m going that route because as I looked back on last year I couldn’t really think of any successes I actually had. I hit some milestones and did a couple of things I’d never done before, but those weren’t actually successes. My idea this year is to catalog anything I feel is an actual success, whether it’s big or small. I’m going to log them in the same journal I use as a gratitude journal, which I started in 2015 but pretty much stopped writing in by June of this year. The of it all is to get back to journaling about gratitude, and if anything good happens that I can count as a success I can add it to the same day using a different colored pen. Hopefully this will keep me accountable for the year and I’ll see things in a better light; that’s my goal anyway. This looks like a cakewalk for you. I hope you enjoy the process. I used to do stuff like this back in the day and it can be a lot of fun.